Home News & Offers Should I Take Home Hotel Toiletries & Complimentary Products? Here at Hotel Complimentary Products, we understand that hotels should be a place of relaxation, a sanctuary and often a home away from home. Whether you travel for pleasure or regularly for business, a hotel is expected to provide you with a warm welcome and outstanding stay. Whether you are a hotel owner, manager or regular traveller, hotel room essentials and hotel toiletries are an important part of a guests stay. Across the world, some hotels go to the extreme when it comes to providing free hotel complimentary products and hotel toiletries for their guests, but are you allowed to take them home? 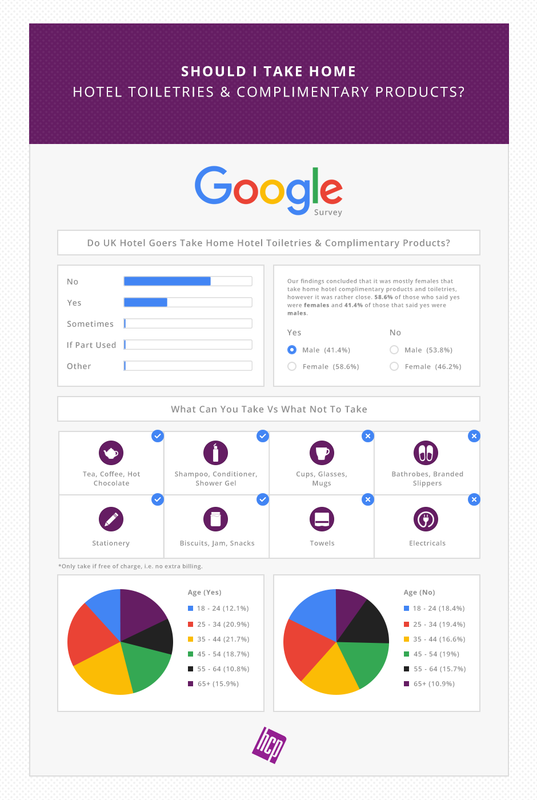 After endless research, conducting a Google survey, we looked at whether it is acceptable to take home hotel complimentary products and hotel toiletries, what percentage of UK respondents admitted to taking them home and how many said no. Hotel complimentary products and more specifically, hotel room essentials may include amenity trays containing, tea, coffee and biscuits. They may also include hotel safes and minibars, these are very important to guests as many travellers may carry a lot of cash, valuables and laptops. 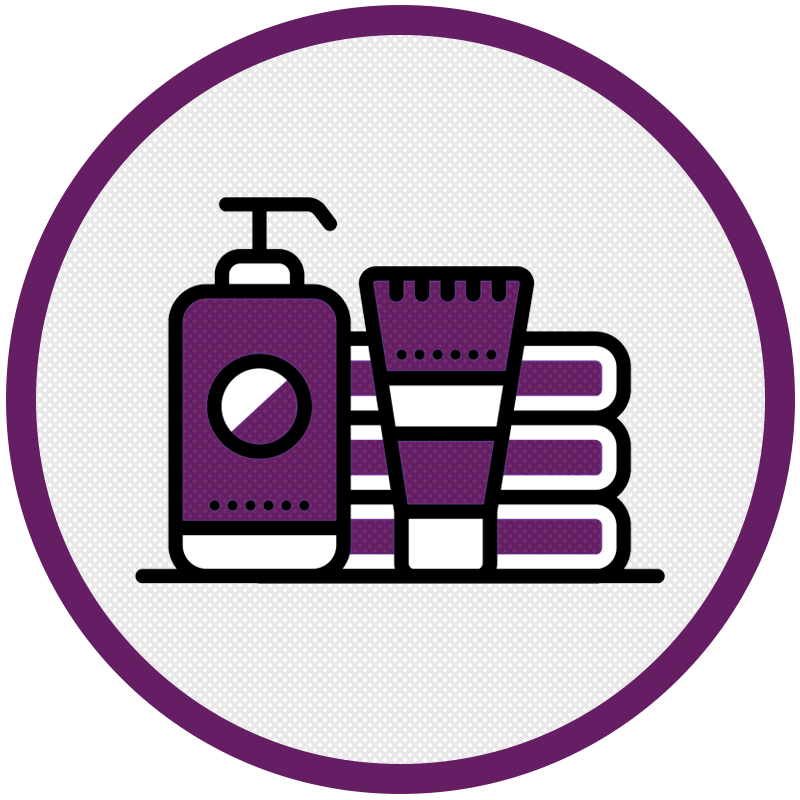 According to tripsavvy, hotel guests are allowed to take shampoo, conditioner, body lotion and other bathroom amenities home with them. In some hotels you can even take home bathroom slippers but only if they are of the disposable kind and not branded. Moreover, many hotels allow you take stationery, such as notepads, postcards and pens especially branded pens to keep as a momento. We wanted to find out whether UK hotel goers admitted to taking home hotel toiletries and complimentary products and generally whether they do or don’t. Our main hypothesis is that the majority of UK hotel goers DO take home hotel complimentary products, so let’s find out. From our Google survey, we identified that the majority of UK hotel goers DO NOT take home the complimentary hotel products. In fact, a staggering 68.2% of hotel goers said they do not take home any hotel toiletries and complimentary products.  Since a high percentage of UK hotel goers said no, this leaves us with 30.9% of hotel goers saying yes to taking home hotel toiletries and complimentary products. Which is quite surprising as it proves our hypothesis that ‘The majority of UK hotel goers take home the hotel toiletries and complimentary products’ is incorrect. So why is this? Is it perhaps hotel goers believe they are not allowed to take them home? Is there a stigma attached to taking home complimentary bottles of shampoo and conditioner, or could it be because hotel goers are brand loyal and stick to their own toiletry brands? Now that we know majority of UK hotel goers do not take home their complimentary products, we want to look into age and gender to see if that shows us something different in terms of who takes these products home and those that don’t. Our second hypothesis was, mainly females will take home their hotel complimentary products and toiletries and mostly the younger generation. Our findings concluded that it was mostly females that take home hotel complimentary products and toiletries, however it was rather close. 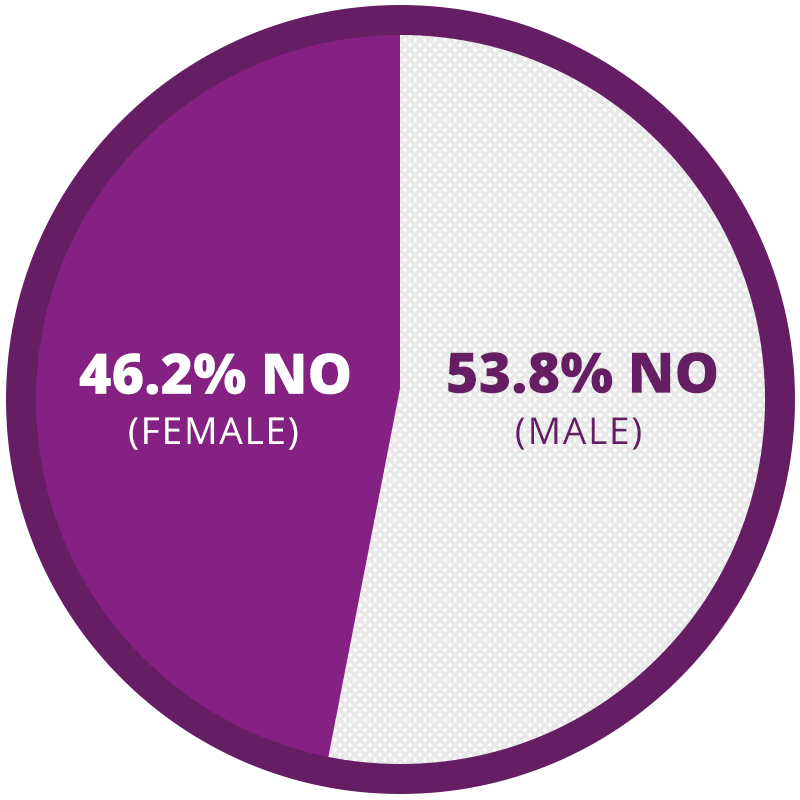 58.6% of those who said yes were females and 41.4% of those that said yes were males. 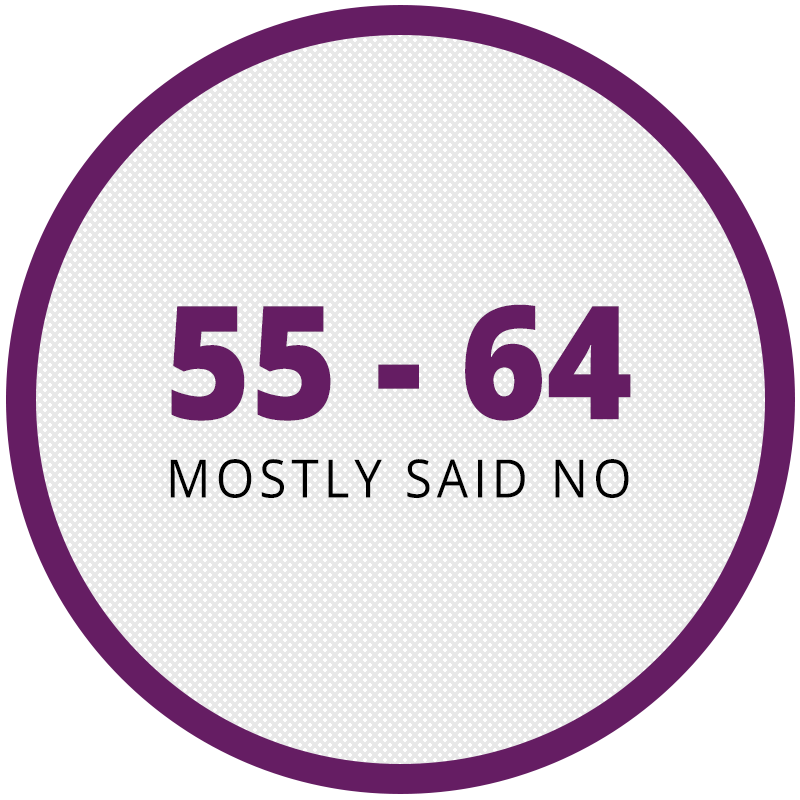 Furthermore, of those that said no, 53.8% were male and 46.2% were female. 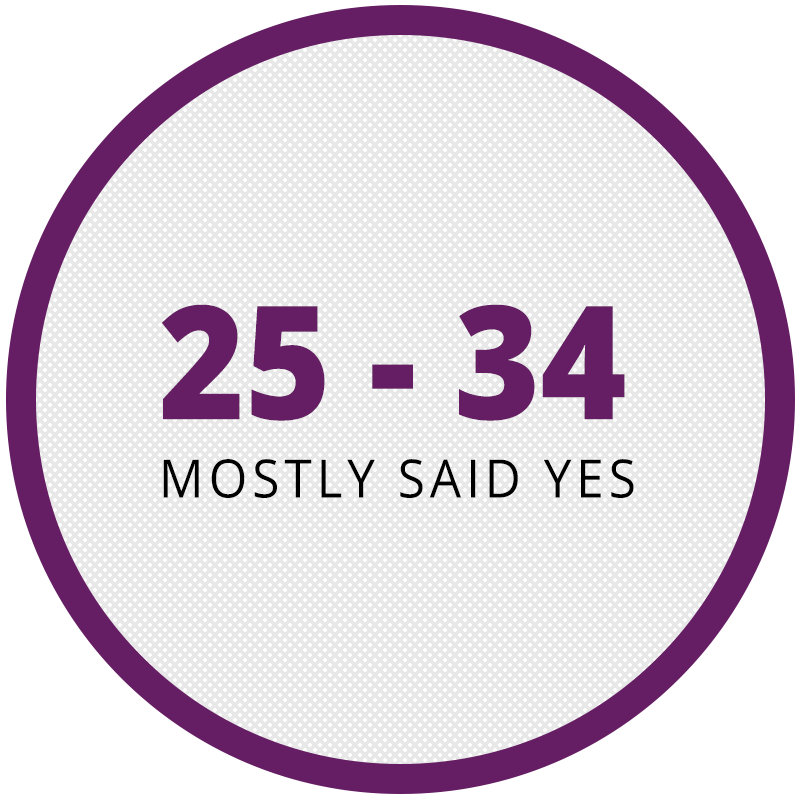 Secondly, we looked at age and which age ranges were more likely to take home complimentary items. 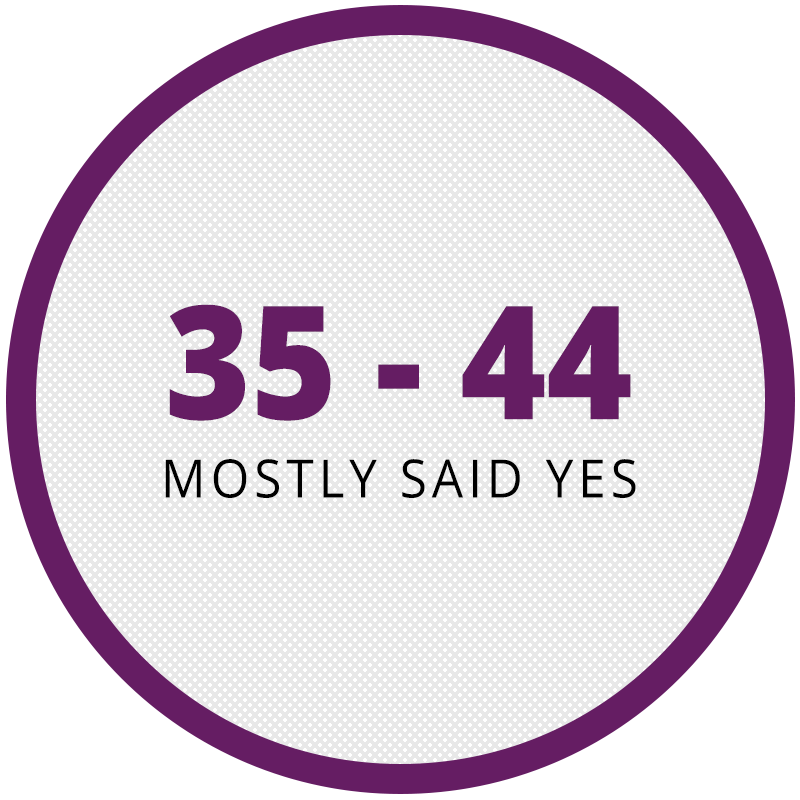 The 18-24 age range mostly said no, 25-34 mostly said yes, 35-44 age range mostly said yes, 45-54 were pretty much 50/50 on whether they said yes or no. 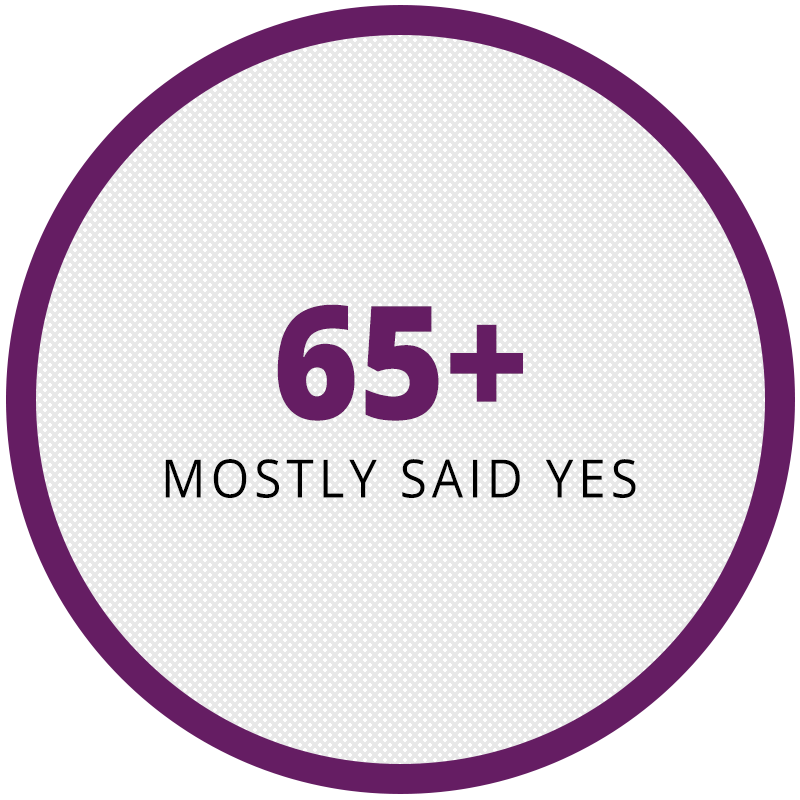 The 55-64 age range mostly said no and the 65+ age range mostly said yes. In conclusion, our hypothesis in that it was mostly females that took home hotel complimentary products can be confirmed, however we did find that age didn’t really contribute to much as neither one age range significantly choose one option over another. 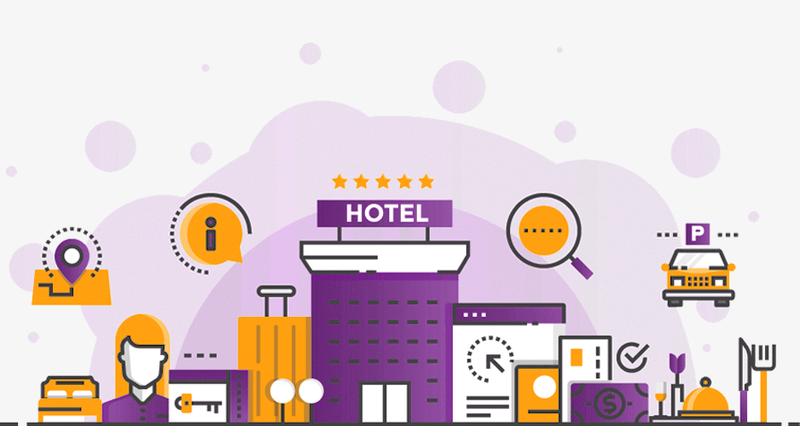 Throughout our study, we identified that the majority of the UK hotel goers that we asked said that they did not take home any hotel complimentary products or hotel toiletries. 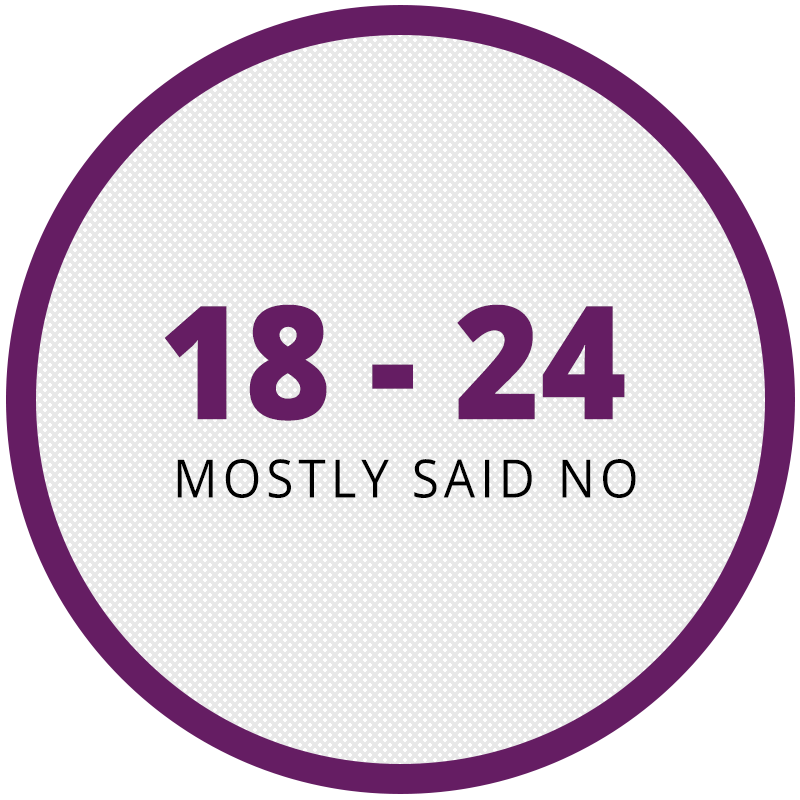 Those of which said said yes, were mainly female and age didn’t really have any factor towards the findings, other than that near enough the same percentage was found across all age ranges. When it comes to hotel complimentary products and hotel toiletries a lot of hotels actually encourage guests to take them home. A lot of items may be personalised to the hotel branding so if those were taken home it might be more likely that the guest returns or recommends them to someone else. It’s pretty easy to determine which hotel supplies you can take and which you shouldn’t take, for example hotel electrical supplies - a hairdryer is definitely not a complimentary item, nor is an iron.